In the age of the internet being all pervasive and data flowing freely between organizations and individuals, Hardware, Software, and Data Security have become a pressing need for all growing organizations. To get things started for your company has listed an approach to Security that can be implemented on various levels at IT Company. The first line of defense against theft should be for company hardware since physical theft is the most common and recurring of company property theft. The most obvious time-tested option here would be to employ CCTV cameras in all areas of the office where devices with proprietary data are located. The IT companies will have to install compact ceiling mounted cameras which are inconspicuous which should cover all active areas of the office. The only limitation to this is the initial investment and the continuing investment in security staff to monitor live video feed. An office environment can have zones of varying vulnerability to theft and intentional damage to data. In this case, it is best to employ a variation of all the methods specified above to ensure maximum safety. The CCTV can be employed throughout the office campus since its working mechanism is pretty straightforward. In places where security is completely beyond compromise, with the fate of the company hanging on the said physical storage of data, Motion sensors coupled with night vision cameras and steel doors can be employed for security. While inside the office working environment where it is tough to oversee every single interaction in terms of hardware exchange, you can use visible deterrents such as Immobilize RFID tags to fend off low-level threats to theft. The software that your company uses is the foundation on which your business runs and on which your customer data is stored. The company will need to look into this as the most important thing on your to-do list after Hardware Security. This is the holiest of all Software Security Commandments! Since the software of an IT organization is the backbone of their electronic resources, the company will need to see to it that it is are on top of any updates or patches of the software tool that it is using, and will install it instantly. The company’s business depends on it. 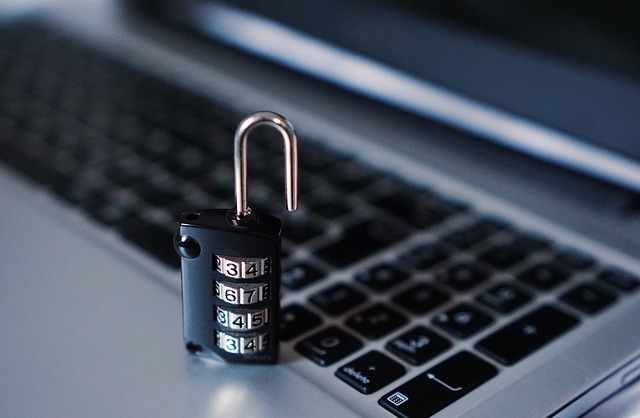 Not only do software upgrades increase the speed of your business, they see to it that any holes in software security aren’t exposed to interested parties, whoever they may be. Large companies see to it that their IT admin teams take over this aspect of updating and upgrading all software’s even remotely related to the business. They work on the off-shift timings to install updates and clear system bugs and see to it that the core software’s run smoothly. Smaller companies may not have the resources to hire large admin teams to see the regular updates are done on time. As an alternative, scanner software’s can be installed which check for updates and inform the employees so that they can install the software patches themselves. This is no easy task and it involves locking up all your crucial business data in layers of software security along with dedicated processing power to ensure continued protection. Encryption is the act of scrambling and coding data beyond its conventional use to make it meaningless to an outsider without the encryption passkeys. Services such as True Crypt help you encrypt an entire Hard Drive or even a USB drive to make sure a company uses only encrypted data which only it has access to. SSL encryption or Socket Service Level Encryption for Webpages is a novel way of making sure your online content isn’t being hacked an external entity. The guidelines specified here are hugely comprehensive and highly contingent upon the size and resources of the organization. Each method stated here has to be chosen after weighing the pros and cons according to the resources available in the organization against the Security need and the investment that can be made for the same. For example, if the organization in question is an MNC it can encrypt large amounts of data without thinking twice about implementation cost. In small organizations, data encryption and even and software upgrades have to thought upon, planned and executed based on the availability of funds. But since this is a holistic guide to organizational security even slivers of the said guidelines can be taken out of selective context to design effective levels of security for the said organization in Hardware, Software, and Sensitive Data. And organizations irrespective of size and access to funds can refer to the said suggestions to optimize existing security infrastructure and reap a higher bottom line. Data security handbook. (2008). Chicago, Ill.: ABA Section of Antitrust Law. Howell, D. (2016). How to protect your business hardware. [online] Techradar. Available at: http://www.in.techradar.com/news/computing/How-to-protect-your-business-hardware/articleshow/44860287.cms [Accessed 6 Sep. 2016]. MacGraw, G. (2011). Software security. Upper Saddle River, NJ: Addison-Wesley.